If you have ever dreamed of owning your own home, Starkville Area Habitat for Humanity may be able to help. Willing to work hard to make a better life for themselves and their family. Applications are taken two times a year. We will be accepting our next round of applications March 1-31, 2019. A family selection committee will review the applications and select a few to interview. 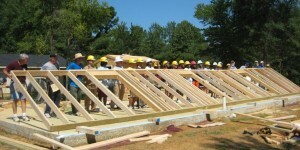 Although everyone deserves a decent place to live, we can only build two or three homes each year and we typically receive more than fifty applications. Contribute 300 hours of “sweat equity” towards the construction of your house. Repay a 20 year mortgage. Submit to a credit check including employment and criminal background checks.